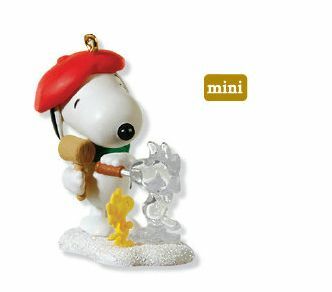 Snoopy and Woodstock are at it again in this fun Peanuts Gang inspired Hallmark Keepsake miniature ornament series. This year we find Snoopy ice sculpting! How fun! Who's his model? Woodstock of course.